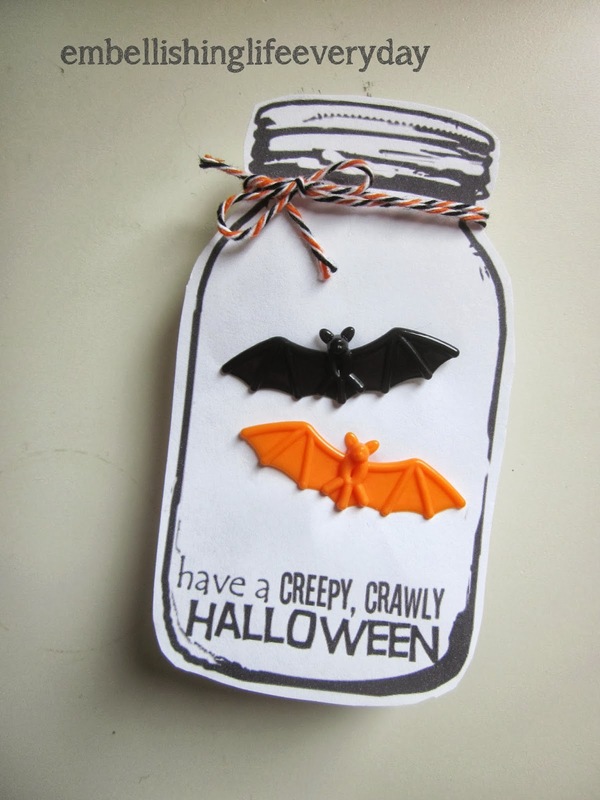 I am so excited that I am actually a wee bit ahead this year with halloween. Let's just hope I stay on a roll until christmas ;) To kick off the spooky season, I am happy to share my first printable with you! this is the first time I've tried offering a printable to share, so I hope it works without a glitch ;) I printed mine as two to a page to get it to the size I wanted. 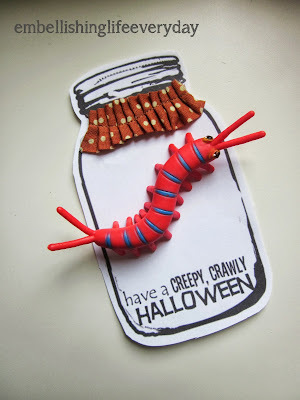 You can attach a little creepy crawly bug for giving to classmates. I found a big bag of bat rings at Walmart and attached those to the card. I love the Halloween colored baker's twine. You can see here I just cut a slit in the card and pushed the ring through to hold it in place. You can use these to make as cards for family, too. 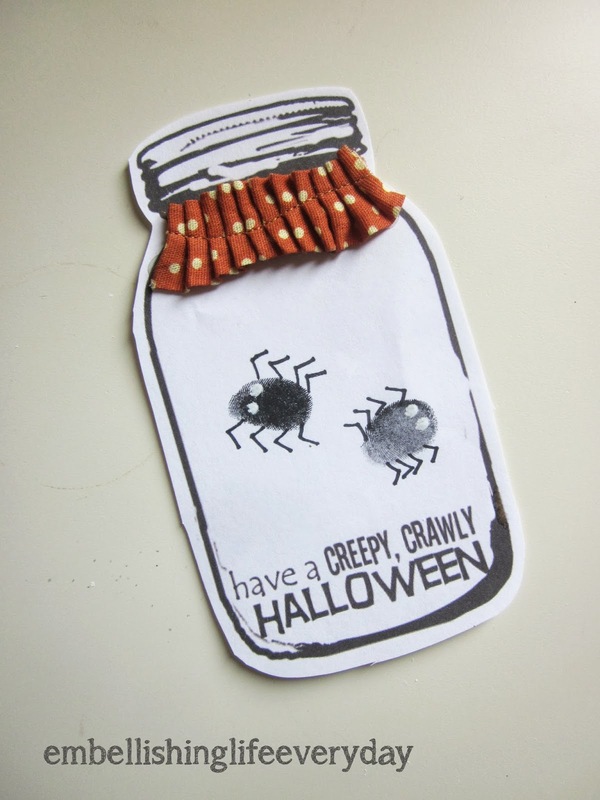 add a couple sweet little thumb prints and turn them into spiders. These are completely awesome!!! 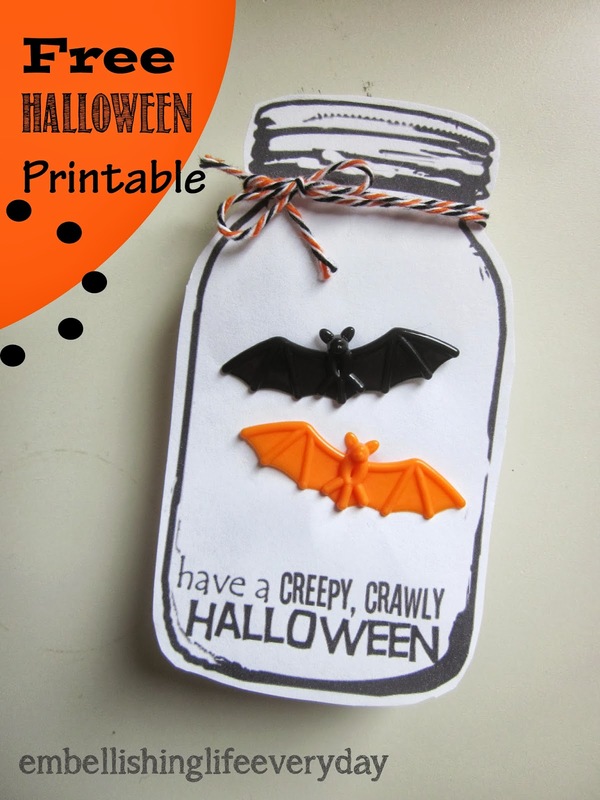 I'm pinning - this is a great classroom Halloween idea! I just love, love these! Do you think I could feature on my mason jar blog, Mason Jar Crafts Love? I use one photo and a clear link back. Let me know. I won't feature it unless I get permission from you!